Eat More Natural Anti-Inflammatory Foods! Increasing research strongly suggests that the more natural anti-inflammatory foods a person eats, the better their overall health. A wide array of diseases such as cancer, diabetes, Alzheimer’s, depression and many others have inflammation in common. Finding ways to reduce inflammation in the body is just as important as discovering causes and the dangers of chronic inflammation. This article details not only why eating more anti-inflammatory foods is critical to your health, but also which ones are the most beneficial. A healthy immune system includes normal inflammation. This occurs when the body sends cells and chemicals to battle an infection or heal an injury. However, chronic inflammation happens when a “trigger” starts the immune system’s response, but the off-switch doesn’t follow. Triggers vary depending upon the person. Anti-inflammatory foods contain several natural inflammatory elements. Phytochemicals and Omega-3’s have been noted as particularly helpful with reducing inflammation. Not surprisingly, many of the best anti-inflammatory foods available are fruits and vegetables. Here are some of the top foods to combat inflammation. 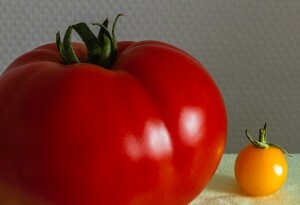 Tomatoes are rich in lycopene. For reducing inflammation in the cardiovascular system, few phytochemicals compare with lycopene. Beets not only reduce inflammation, but also provide a boost of fiber and vitamin C which protects against cancer and heart disease. Eating garlic can provide a similar effect to Ibuprofen and other NSAID pain medications. Research indicates that garlic can shut down the inflammation pathways. Salmon is packed with omega-3 fatty acids. Increasing your intake of oily fish like salmon (as well as other omega-3 rich foods) help reduce inflammation. Cruciferous vegetables, such as bok choy, are well-regarded for their anti-inflammatory and anti-cancer effects. Eating leafy green vegetables is good for any diet, but particularly important for decreasing inflammation. According to researchers from Oregon Health & Science University, tart cherries have the “highest anti-inflammatory content of any food.” Their research found that feeding tart cherry juice to lab rats decreased blood vessel inflammation by up to 50%. While anti-inflammatory research continues to grow, current studies clearly point to the importance of including natural anti-inflammatory foods into your diet now.